Ordaining Ministers, Chaplains, Counselors: Church Charters, Doctoral Degrees: For Free! Helping Ministers And Serious Bible Based Christians In All Phases Of Ministry. Cambridge Seminario Teológico Internacional ™, Página Web En Español. Cambridge Theological Seminary International ™ Flag Counter. 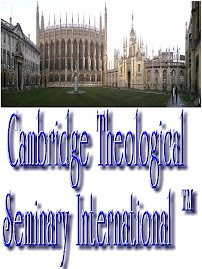 Cambridge Theological Seminary International ™, Leader And International Representative. Educating And Ordaining True Serious Bible Based Ministers And Christians. Cambridge Theological Seminary International ™ , Greatest Name In Biblical Education. 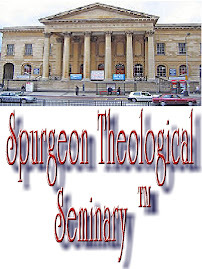 Spurgeon Theological Seminary ™, School Of Evangelism And Leadership. 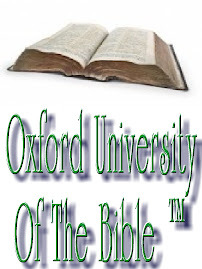 Oxford University Of The Bible ™, Greatest Name In Biblical Scholarship, For True Student Scholars.